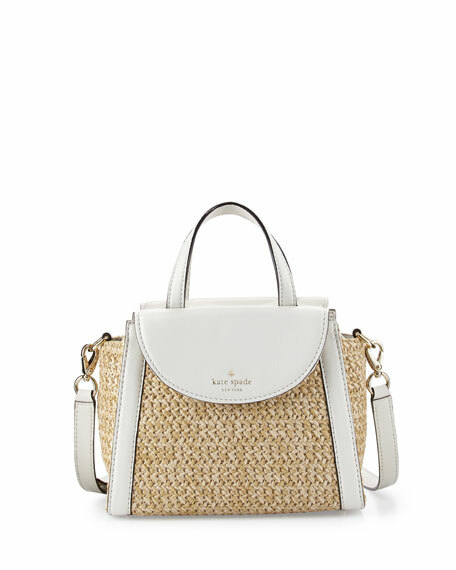 kate spade new york raffia tweed satchel bag with leather trim. Front and back flap pockets. 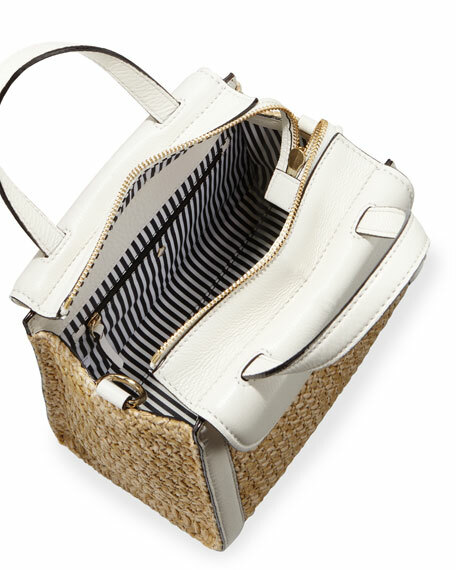 Interior, striped lining; one zip and one slip pocket. 7.5"H x 9.5"W x 5"D.
"cobble hill adrien" is imported. For in-store inquiries, use sku #1703855.